“Hello! I’m Katia, 34 years old, and I’m the founder of LoveYourDay, wedding agency covering Luxembourg and the East of France. For 4 years now I have had the huge privilege of being able to enter into the lives of future bridegrooms to accompany them in the organisation of a day – oh so important to them – their wedding. I love this job that allows me to meet very different couples, each with their own background story and personality. For me every wedding is an experience and a new story. Before becoming a full-time wedding planner and coordinator, I studied at the Business School in Strasbourg and obtained a Master’s degree in Event Planning in order to be able to offer service quality to my clients. I am a diplomatic and creative person, always seeking out innovative ideas to meet the most demanding requirements. I’m not afraid of getting involved in a variety of different roles, such as creating custom-designed decoration for a wedding or creating this website. I look forward to meeting you and to planning your wedding! Feel free to contact me if you have any questions or want to book a free meeting. Whether you choose to organize a civil, religious or secular wedding, it is a highlight in any couple’s relationship. Is this fabulous event not a way to make time stop in order to celebrate a true love story? A wedding is also an opportunity to bring all of your closest ones together and to share what you love with them. The role of our wedding planning agency is to inspire you, but at no point will we impose our tastes and opinions on you. Your Big Day will be centered around your own individual love story that has lead you to this wedding. We will help you to choose service providers who listen to and understand you and who will do everything to tailor their services to your needs. A wedding is a unique moment in your life and should therefore be unforgettable and centered around you. It is up to you to decide if it will be traditional or unusual, if the reception will be intimate or grand and if the ceremony will take place in a classic or in a quirky style of room. Your wedding will always be a reflection of your history together, a happy event, filled with emotions and dreams. Enjoy every moment of life, fill daily life with refinement, pleasure and new discoveries. Reinvent each and every day. 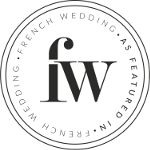 Searching for a wedding planner in Luxembourg or in the East of France?